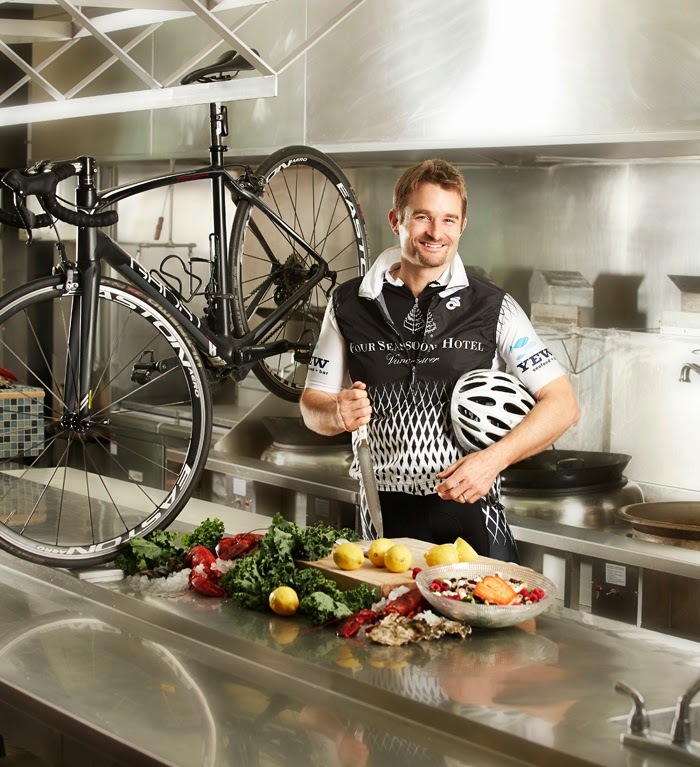 Chef Ned Bell of Vancouver is no stranger to spending hours on a bicycle. On his 40th birthday in 2013, he took off on a 4-day, 900-kilometer bike ride across Vancouver Island. It was all about increasing the awareness of our food system. But that's a spin around the block compared to the adventure he's beginning July 1, 2014. The Four Seasons Hotel Vancouver and YEW seafood + bar Executive Chef is off on a three-month, cross-Canada journey on his two-wheeler. As the founder of Chefs for Oceans, he's pedaling across the country to support sustainable seafood -- and healthy lakes, rivers and oceans. The trip begins July 1 in St. John's, Newfoundland and ends September 11 in Vancouver, BC. Chef Bell will pedal between 140km and 200km each day, and the 7,453km coast-to-coast trip will take 10 weeks to complete. Stopping in major cities along the way, Chef Bell hopes to raise awareness for sustainable seafood through interviews, events and appearances. Chef Bell, the father of two sons (Max is pictured above, second from the right), hopes to create a movement that allows Canadians to easily and readily access sustainable seafood. He's also donating a portion of net funds raised from his ride to the Vancouver Aquarium's Ocean Wise program, Sea Choice and the Canadian Parks and Wilderness Society (CPAWS). Bell is co-founder of the National Sustainable Seafood Day (NSSD) and member of the Chefs Table Society of BC. 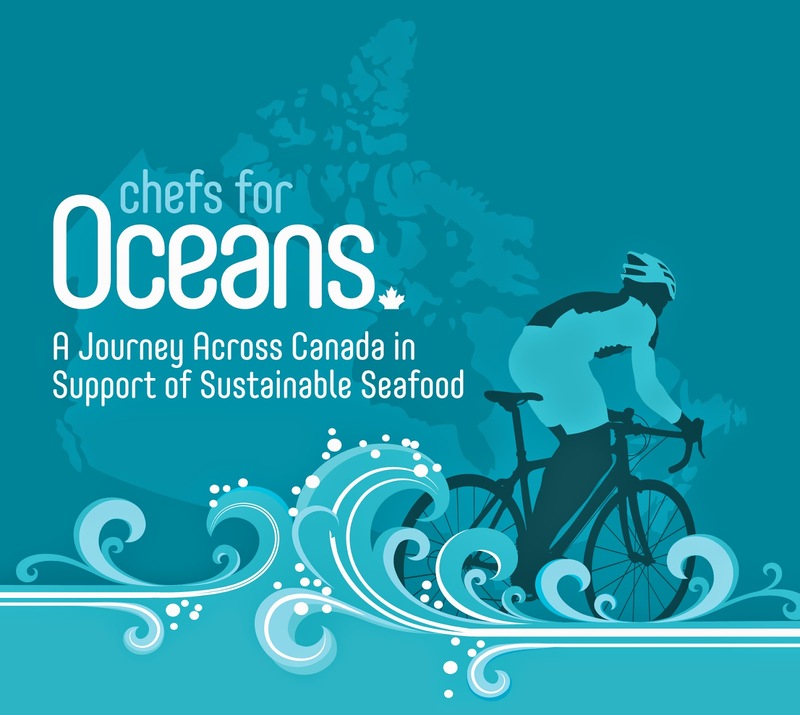 The Chefs for Oceans ride has numerous backers and sponsors, but there's room for more. Individuals and businesses can support the ride by making a donation, signing the NSSD petition, showing up at one of his events this summer or even riding alongside him when he passes through your city. To donate and get up-to-date details of Chef Bell's most amazing bike ride, go to www.chefsforoceans.com. You can also follow him on Twitter @nedbell, hashtag #chefsforoceans.